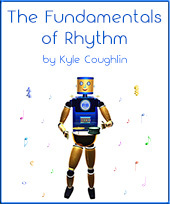 I created MetronomeBot in 2009 to provide students and musicians with affordable talking metronomes, as well as reliable clicking and subdividing metronomes. MetronomeBot uses Flash Player to operate, but unlike many online metronomes, it does not use Flash to actually create the sounds. MetronomeBot is essentially a click track device that plays recorded audio files. The files were created using MOTU’s Digital Performer, and the result is that the metronome is steady and consistent. For several years, the only problem with using Flash for online metronomes was that you could not use them on iPhones or portable devices. However, Flash based applications now have a much bigger problem: Flash will cease to exist in the year 2020. I have dealt with this problem by transferring the MetronomeBot files to YouTube so that they can be played on all devices. MetronomeBot now has a new home with well organized features, an extended range of tempos, talking metronomes, subdividing metronomes, and more at MusicAllTheTime.com. See my blog post for a more detailed explanation of the problems with Flash Player, and how I adapted MetronomeBot to work on all devices. All of the metronome tracks were created very carefully to ensure that they produce a steady tempo. Also, I made sure to use sounds that are clear and as loud as possible without distorting. A metronome doesn’t help much if you can’t hear it! Other software that was used to create the sounds includes Battery 3 and Vokator by Native Instruments, Guru by FXPansion, and MX4 by MOTU. Mp3 files of the tracks are also available for sale if you would like to use your iPod, iPhone, or mp3 player as a metronome. I hope that you find MetronomeBot to be useful.